Quiet Area 10 mins By Car from food store, entertainment and beaches 10 mins By Car from downtown Private and secure Pool and golf course Rental Car, scooter or own transportation strongly suggested. Quiet Area approximately 10 mins By Car from food store, entertainment and beaches 10 mins By Car from downtown. 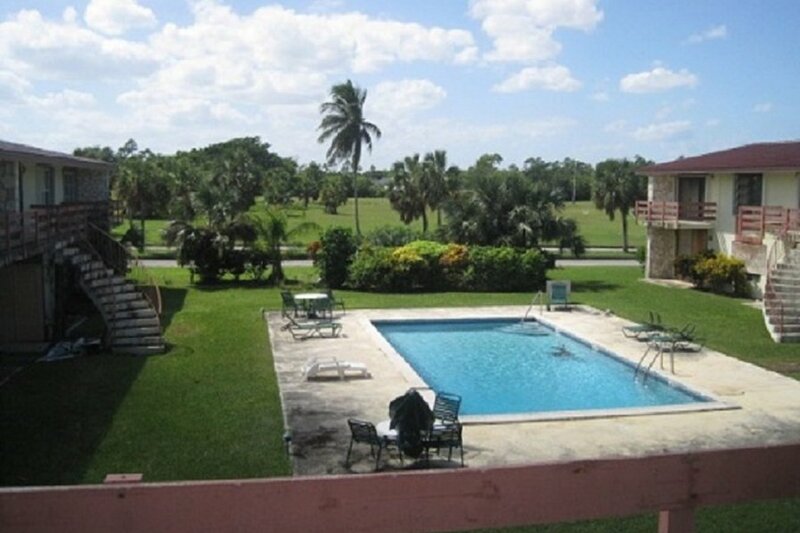 Condo is private and secure with a pool and adjacent to the golf course. It is a spacious unit with a Jacuzzi tub and separate stand alone shower. It offers a full sized fridge and full sized stove along with a dishwasher, washer and dryer inside of the unit. A rental Car, scooter or own transportation strongly suggested. There are 2 bicycles that are available for rental. This unit is an 1 bed 1 bath apartment in a set of 3 condominium buildings. It is in a quiet residential area and is close (less than 15 mins) to beaches, zip line, entertainment and more. Suitable for a single guest, couples, or families. Unit also includes an air-mattress for additional guests and a playpen can be added at a small fee. The unit will not be cleaned daily. Daily cleaning is available at a nominal fee. Rental of this unit concurs that all items listed on the inventory list are present in the unit and are in working order unless communicated directly with host. The renter is therefore responsible for all missing and/or broken items listed on the inventory list. Celebrating a birthday, anniversary, engagement or any special event? Request or room decoration package starting at $50.00. Includes: 1 bottle of wine, strawberries, rose petals and other room decorations.